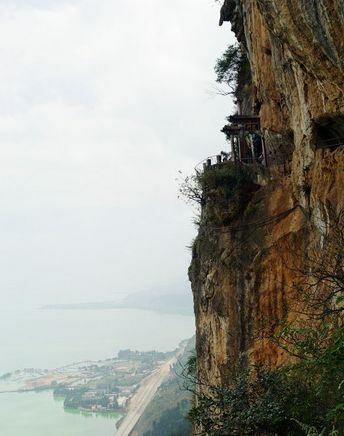 Western Hill (xī shān 西山) - The forest reserve on the west bank of the Dianchi lake (diān chí 滇池) consists of the Huating (huá tíng 华亭), Taihua (tài huá 太华) mountains, which extend for more than 40 kilometres at an altitude of 2,500 metres above sea level. 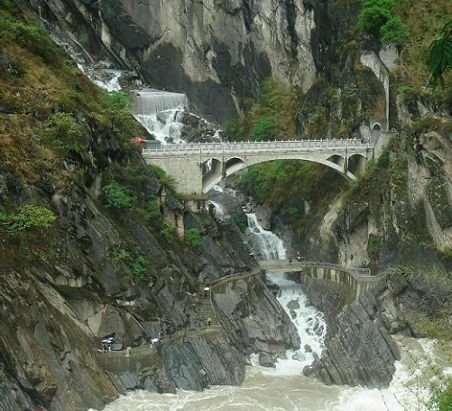 Tiger Leaping Gorge (hǔ tiào xiá 虎跳峡) is believed to be the deepest gorge in the world. 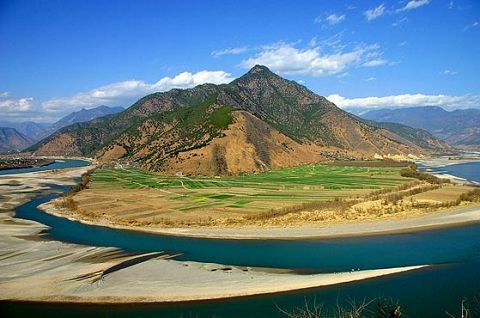 From the top of the gorge you look down the steeply angled (70-90 degrees) mountain sides to the rushing Golden Sands River ( jīn shā jiāng金沙江) with its 18 frothing rapids more than 200 meters (about 700 feet) below. 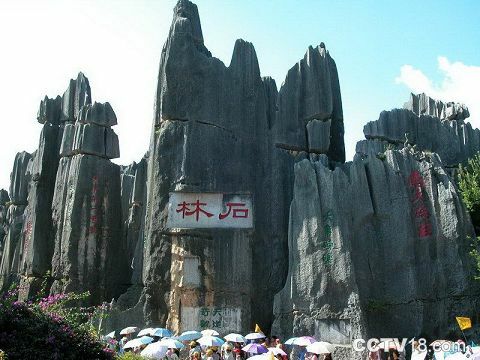 The Yunnan Stone Forest ( yún nán shí lín 云南石林) is located in Kunming, which serves as the capital of the Yunnan province. 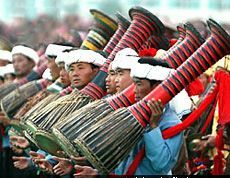 This remarkable forest, also called Shilin, has been called the First Wonder of the World since the time of the Ming Dynasty.